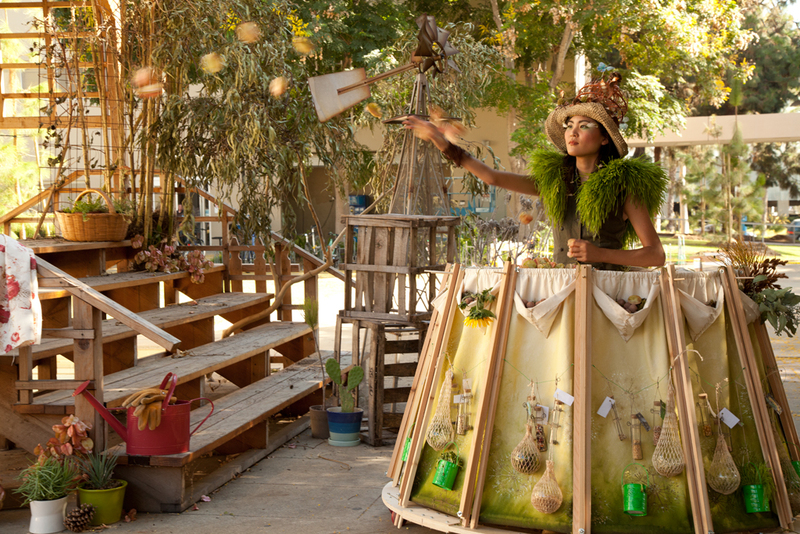 The Traveling SeedBomb Dress tosses local native seeds in the urban environment. 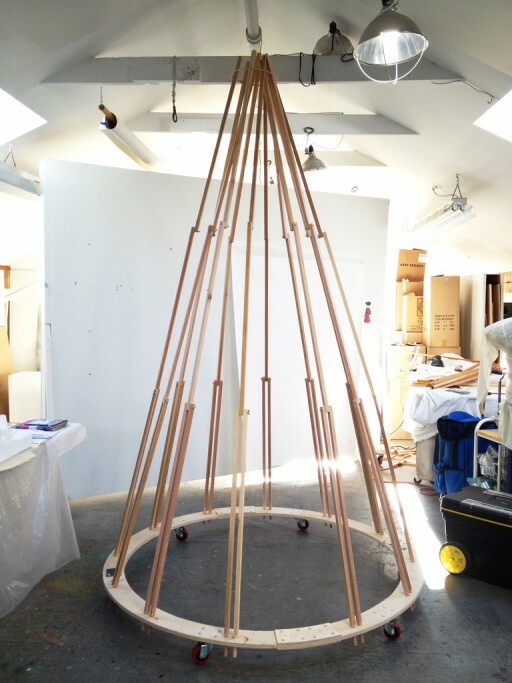 The skirt is transformed by a series of hinged struts that telescope from its base. 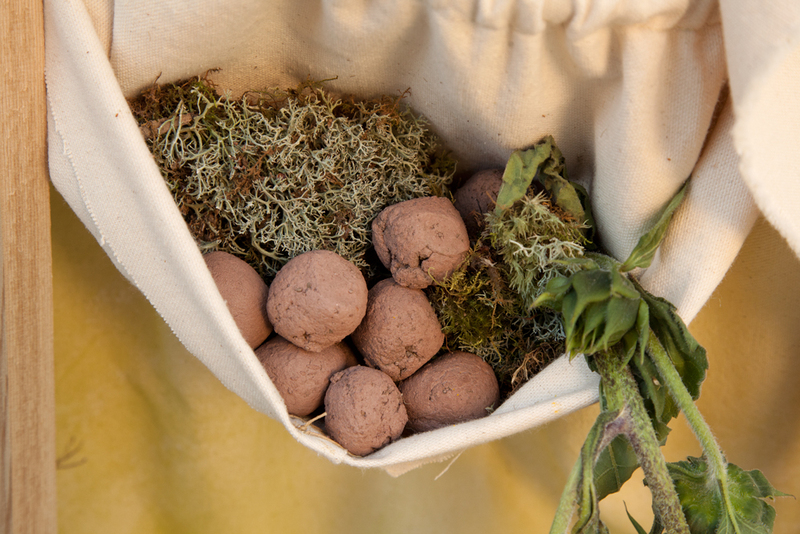 The seedbombs are located within reach in cone shaped pockets at the outer perimeter of the skirt. The dress houses fifty glass vials filled with enough seed to plant over an acre of vegetables, grains and herbs to feed a family for one year. Photo: E. Stoner. Preparing food to share in Fullerton California. 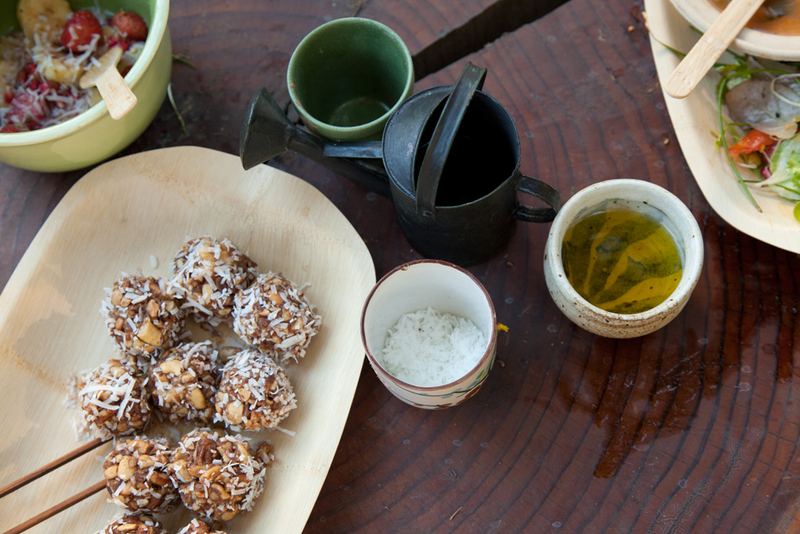 Protein balls made with coconut, cashews and cocoa grounded together with a motor and pestle. Agent Seed Bomb sharing Seed Money at the Eco Ego exhibition. Photo: E. Stoner. 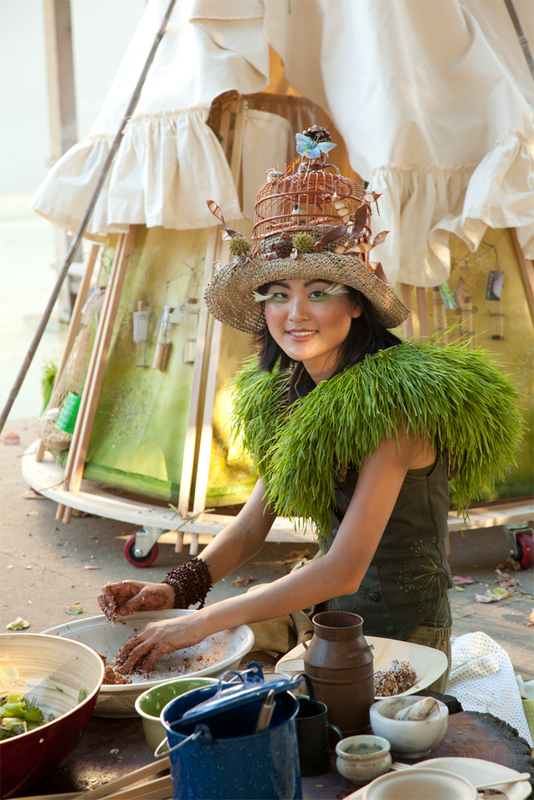 The Traveling SeedBomb Dress at the Chinatown Festival in Vancouver. 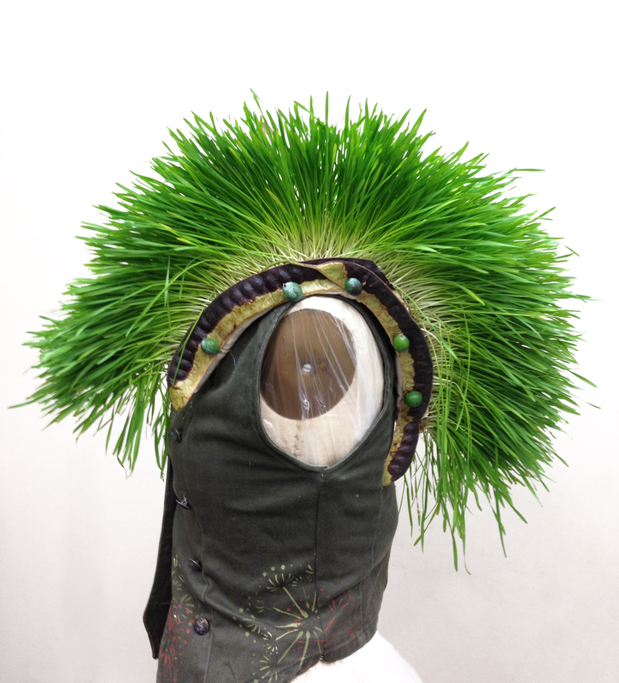 Our agent of propagation also wears a secondhand vest adorned with épaulettes of fresh Wheat Grass. 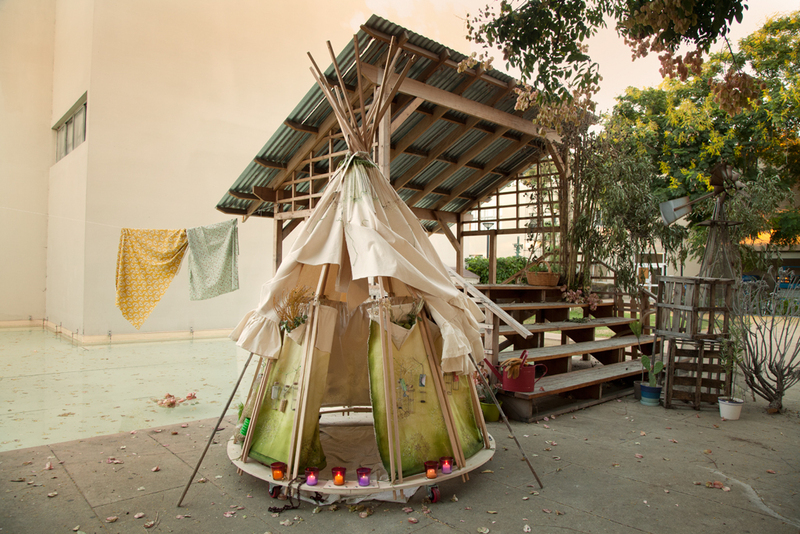 Plenty of room to curl up in the SeedBomb Teepee. The skirt is covered in heavy duct canvas hand painted with a dandelion motif, a symbol of highly effective plant survival and endurance. 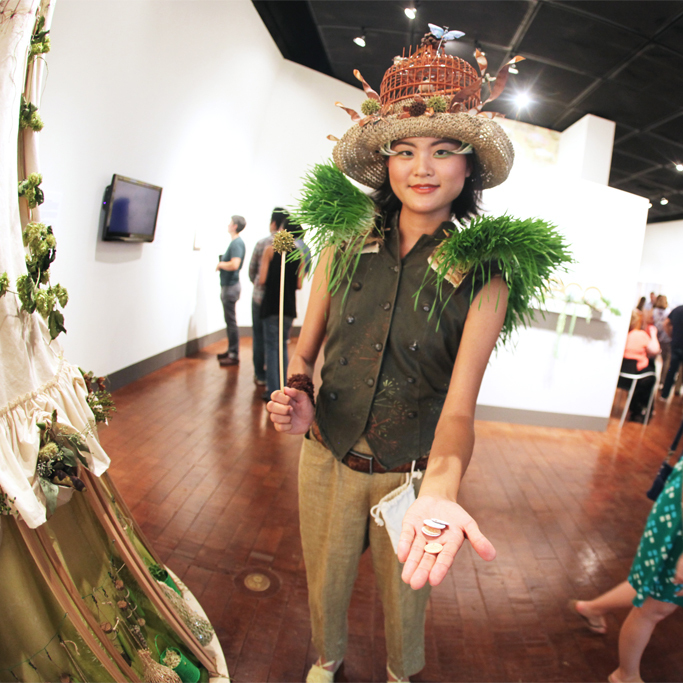 The Traveling SeedBomb Dress is an eco agent provocateur advocating for self-sufficiency through food independence and sustainable practices. 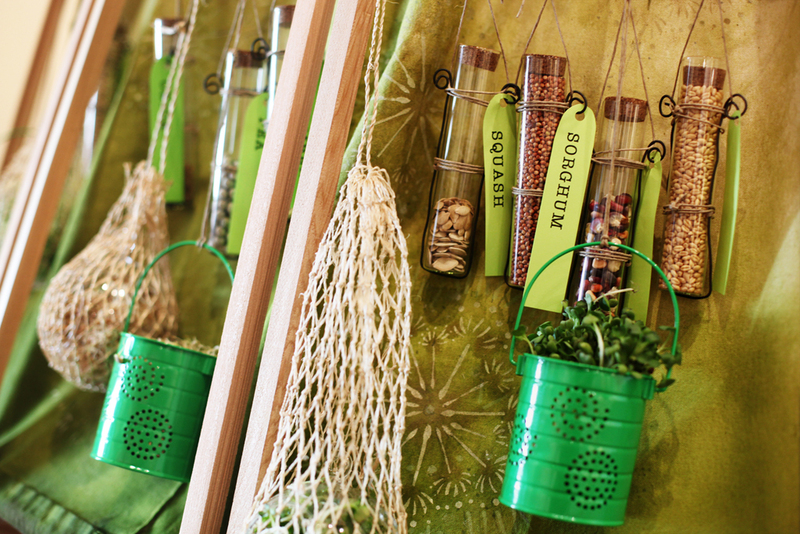 The dress houses glass vials filled with seeds and pots for sprouts. 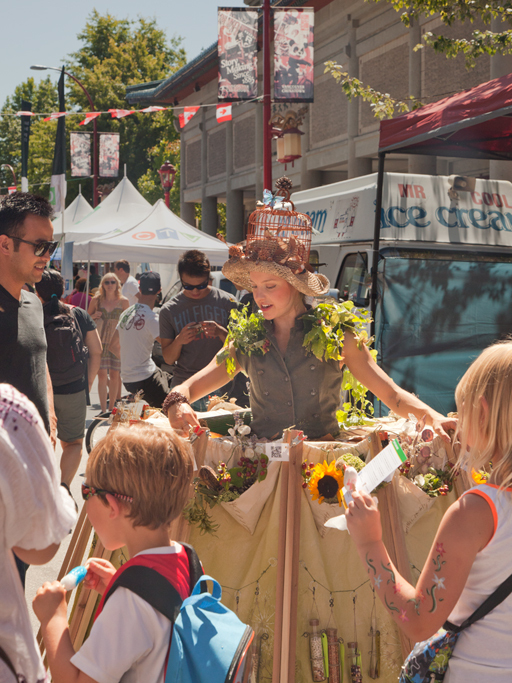 Agent SeedBomb engages the community in activities such as seed bomb making and sidewalk stenciling with grains. 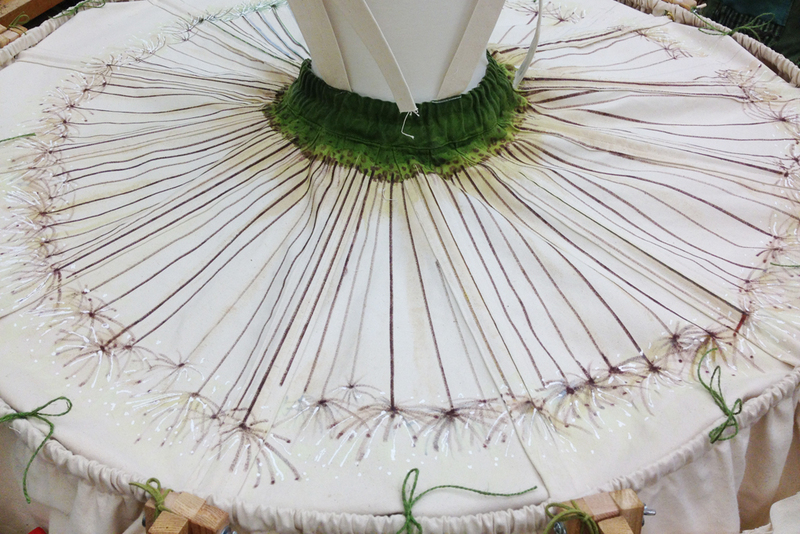 The skirt transforms into a canvas covered teepee on wheels enabling a transient lifestyle of squatting, occupying and protesting.